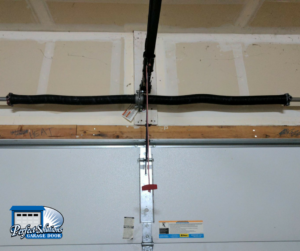 Below is a collection of a few spring repair projects we’ve completed lately. 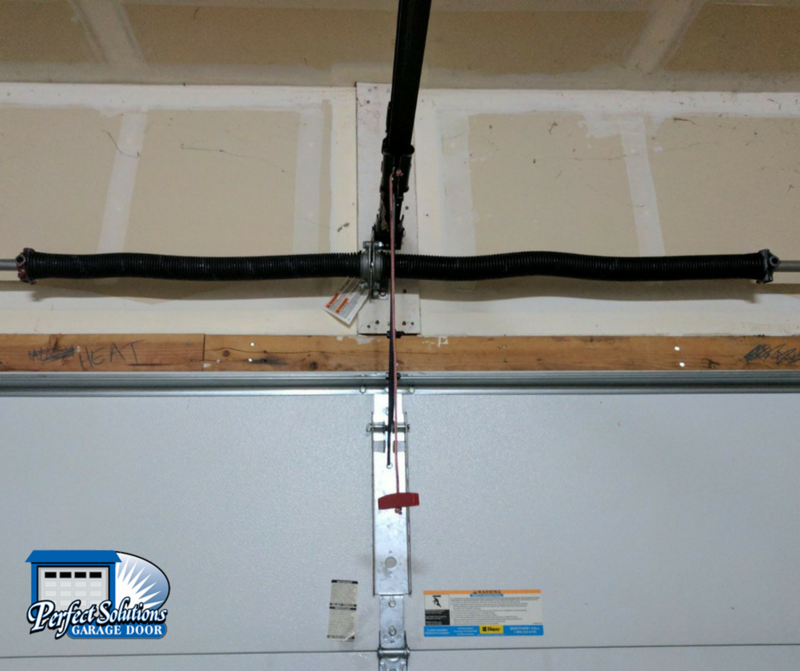 Spring repair is one of the most common repairs we perform. 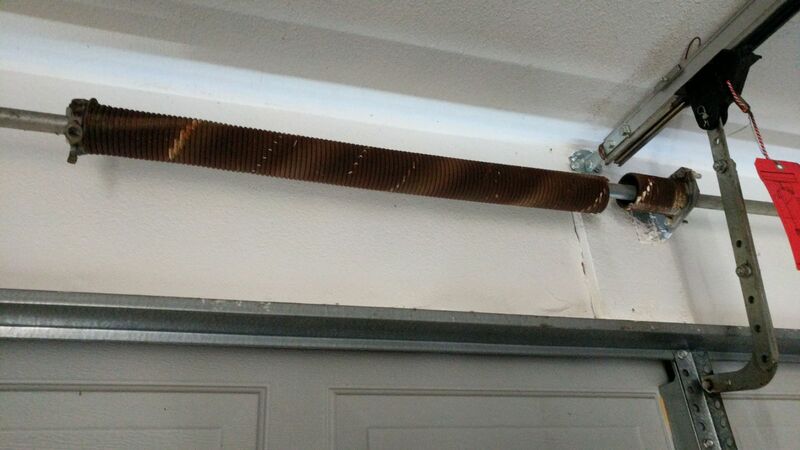 The most common issue is springs that are not the right size to support the weight of the door. This can cause problems, including the opener not functioning properly. 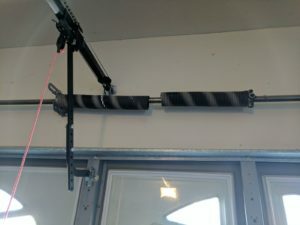 It can also shorten the life of your springs and opener. 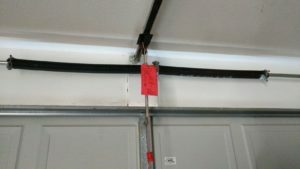 We generally recommend a dual spring system for all garage doors. 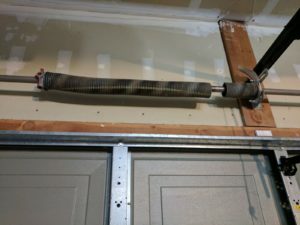 This helps your springs function properly. 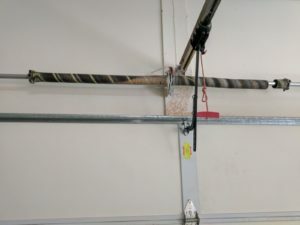 Your entire garage door system will also last longer. While there is a higher upfront cost with a dual spring system, it’s worth it over the life of your springs. Plus, it helps your door function safely. Here you can see a broken spring. 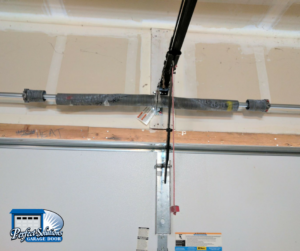 When we arrived, we upgraded to a 2 spring system. 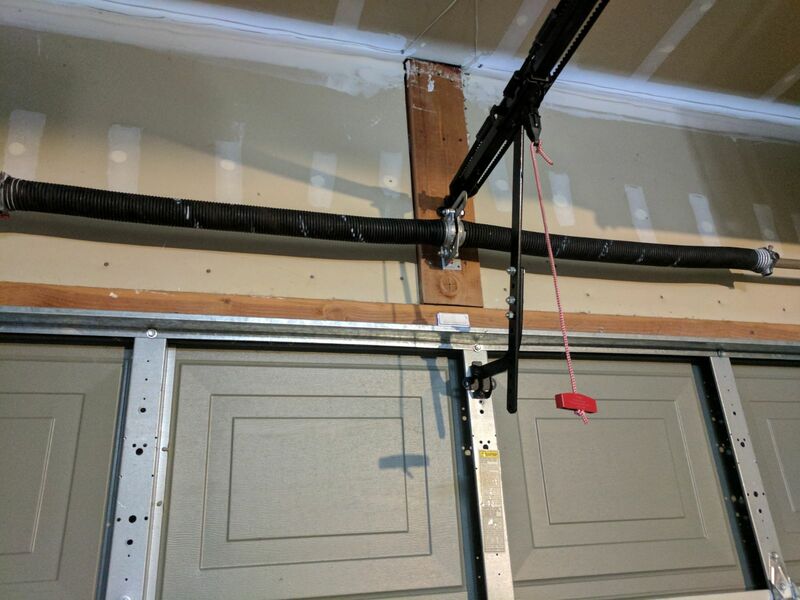 We also reinforced the garage door. 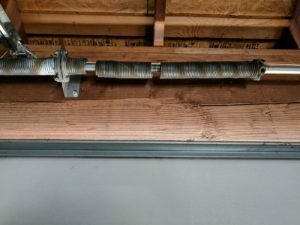 The springs should last longer in a dual spring system. It will support the weight of the door better, and allow the garage door opener to function longer. Customers tend to be scared to upgrade to a dual spring system at first since it is more expensive upfront. The time you will get out of your system returns your investment. 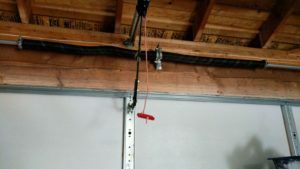 The harder impact on your garage door opener with 1 spring versus 2 makes a dual spring system more affordable in the long run, since you will get more life out of your opener. 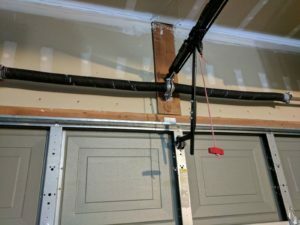 We also installed braces, as you can see in the picture above, to reinforce the garage door. Reinforcing the door helps to prevent cracks. This house was built by a big builder. These builders generally take the easy and cheap route when building homes. 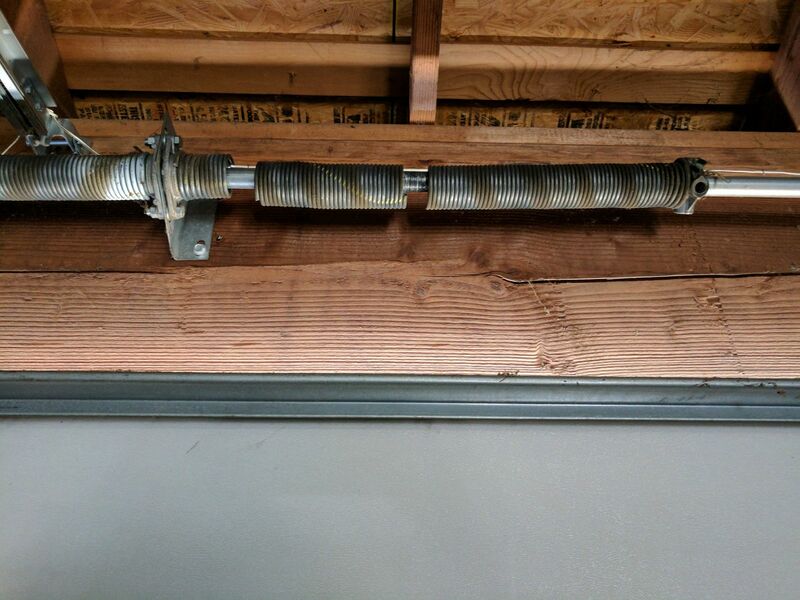 That means that garage doors generally only have 1 heavy duty torsion spring installed. While it saves them money upfront, like we talked about above, it doesn’t give as much life as a dual spring system. A double size garage door, like the one in this picture, will function better and last longer with a dual spring system. 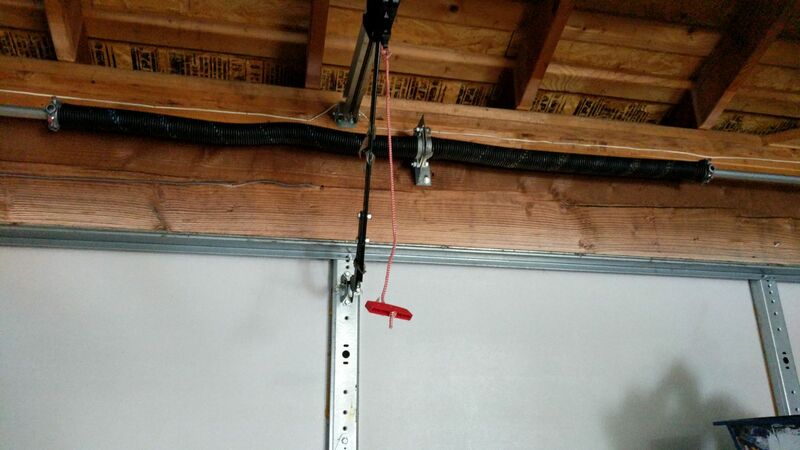 The double springs will also balance the door more effectively. 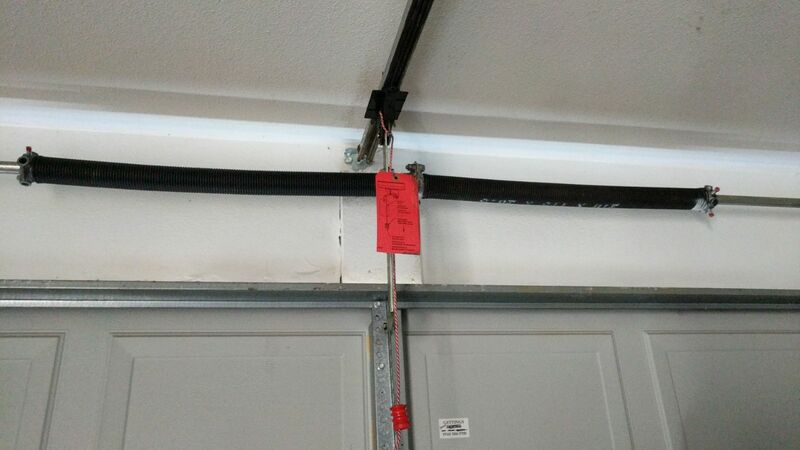 This helps the garage door opener work better. The spring works by carrying the weight of the door. Doors are heavy! 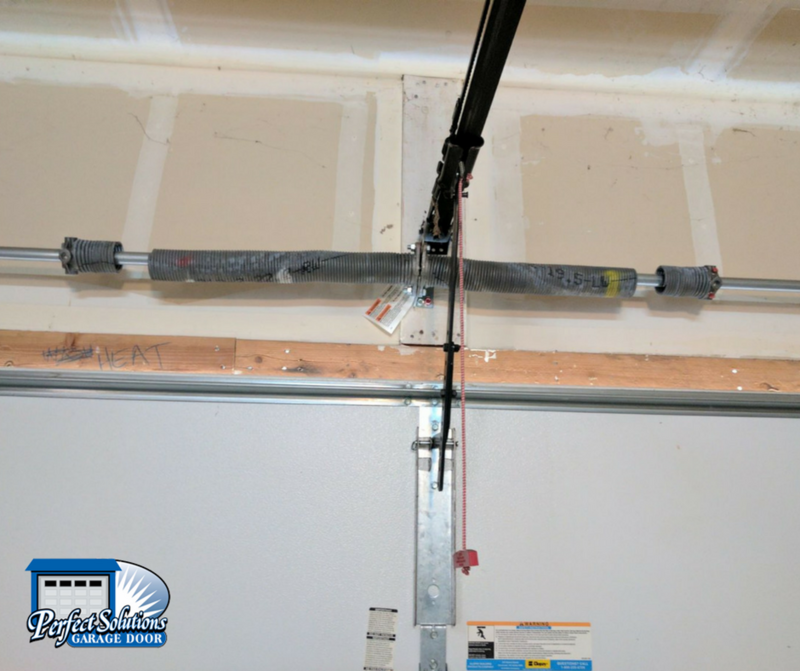 If you think you have a broken spring, or if the spring looks like it does above, or in any of the before pictures in this post, call us! We can check it before it snaps, which can cause damage. 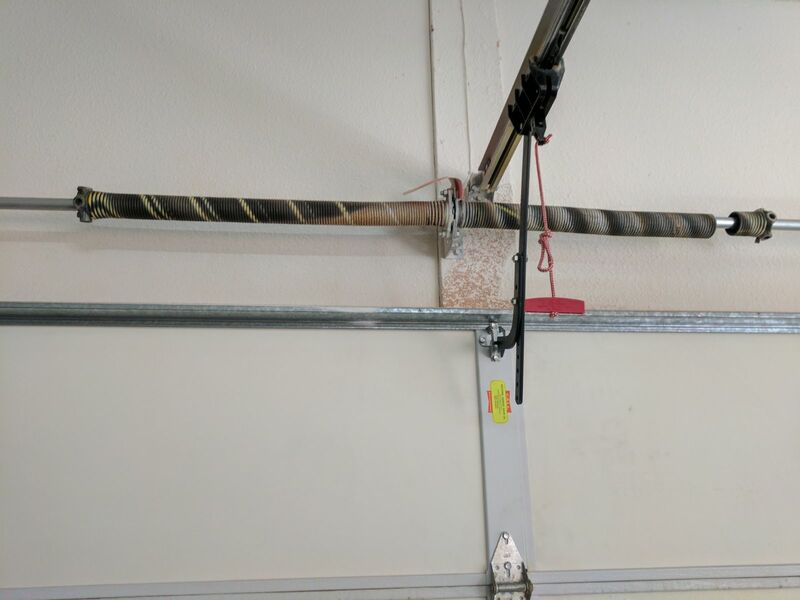 After troubleshooting for a while, we realized the door is too heavy for the springs, which are too small for the door. We changed the springs to properly fitting ones, and adjusted the motor. The door is working like new now! This spring broke in TWO places! We quickly swapped it out for new springs, and good as new!